Make sure to back up the files regularly. Use our DB37 cable with your tape back-up for reliable data storage and retrieval. Make sure to back up your files regularly. Extend your cable connection for your tape back-up for reliable data storage. 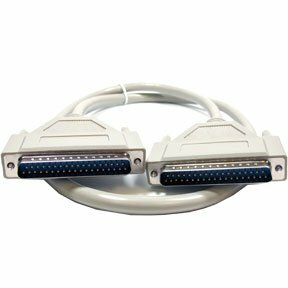 The DB37 Cable is for use with SCSI / RS449 connections to use with your tape drive or other devices. You can order them at SF Cable and get them delivered at your doorsteps. We have DB37 Male to Male serial cables and male to female serial extension cables available in various lengths to meet your individual requirements. You get the trust and quality of SF Cable at very competitive rates. All our products are RoHS compliant and environment friendly, which makes them much safer to use. You can expect a good after sales service and lifetime technical support on our products.